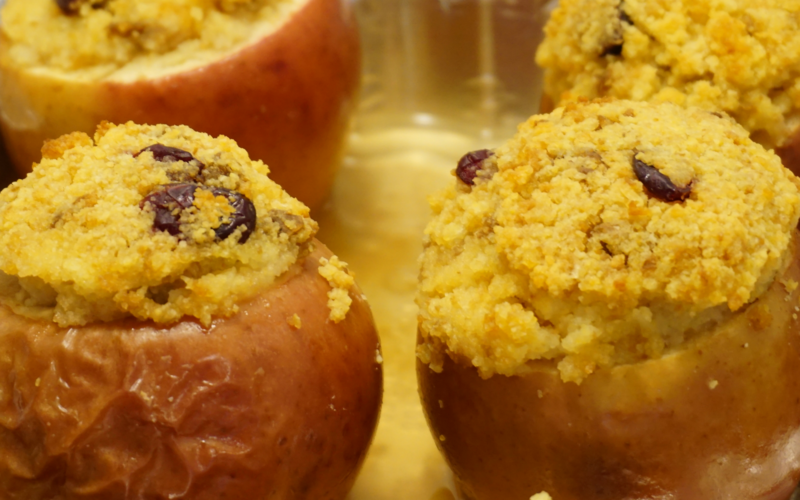 My Daughter LOVED These Baked Stuffed Apples! Nothing says fall more than apples. 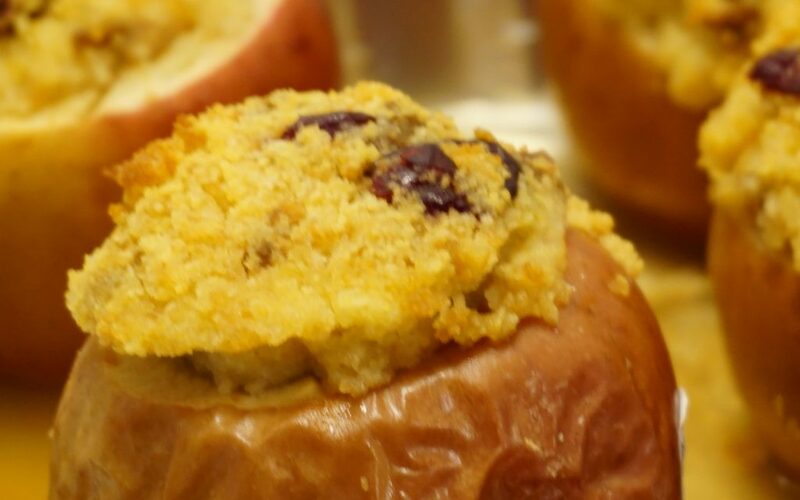 And I say, there is nothing better than a baked apple. I have decided to take my old favorite a step further and stuff them. Normally I would core them and put brown sugar, cinnamon and butter to the center. But I am wanting to change up my menu this Thanksgiving! Looking online, I found a stuffing recipe for an acorn squash that sounded so yummy. I wanted to try it out using apples instead of the acorn squash because it would make a smaller serving portion. I probably would not use this stuffing recipe for the turkey put it would make a nice compliment to your Thanksgiving meal. Let’s begin with the stuffing. I had leftover homemade cornbread that I used. Mix the cornbread, craisins, and sausage well. Then gradually add the cider until you have the right consistency you want. I like my stuffing really moist. Next coring the apples. There is an apple corer that you can buy but I never had one of those. I always just use a knife. 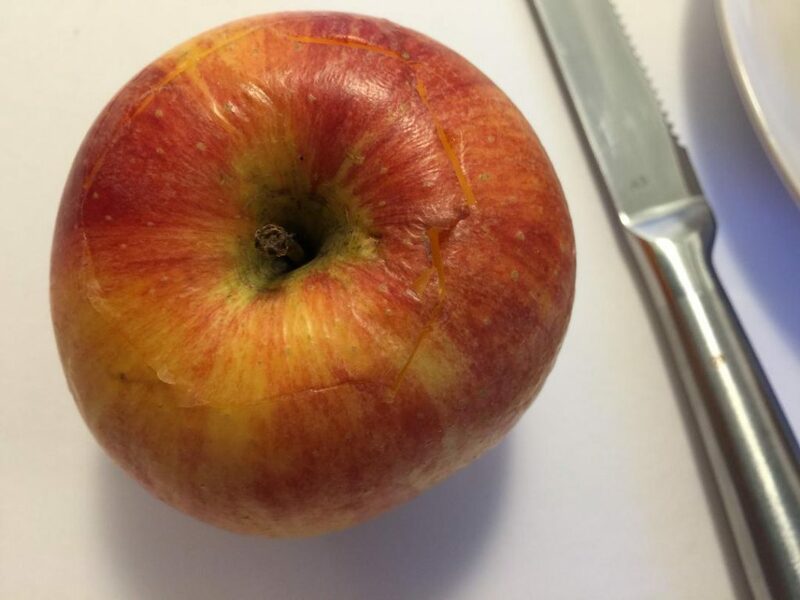 These are gala apples. Just start at the stem and make a cut around the stem, going about 1/4″ around the stem. 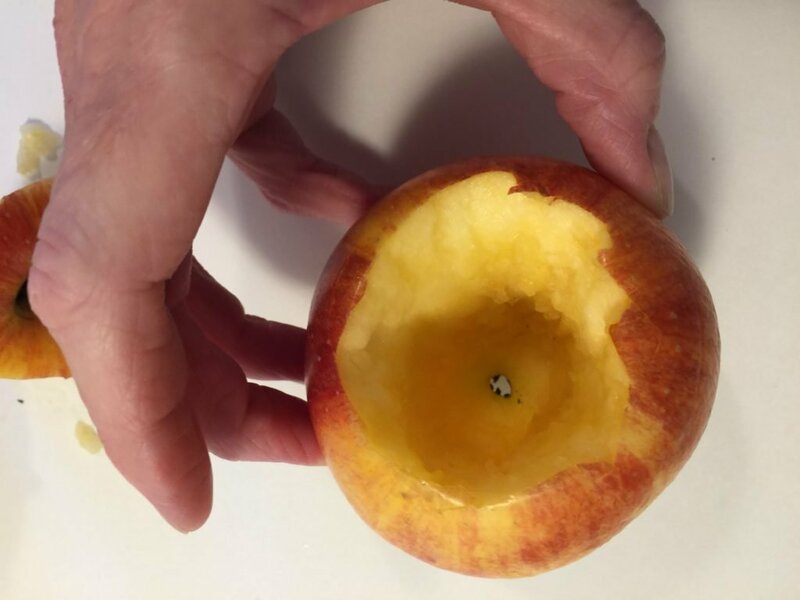 Cut down into the center of the apple being careful not to reach the bottom. You don’t want to have a hole in the bottom. Also, a tip. 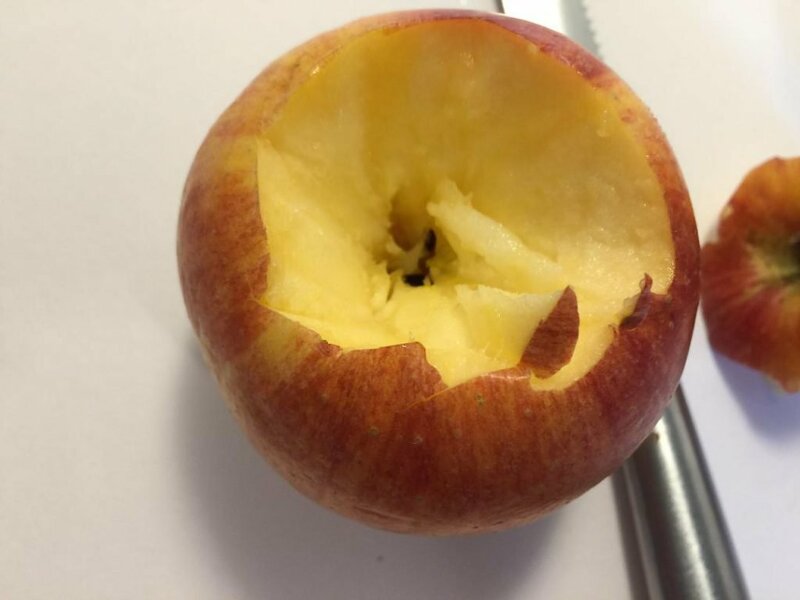 if the apple will not sit up on it’s own, slice the apple across on the bottom so it will be flat. Once you have all the apples cored, they are ready for the stuffing. 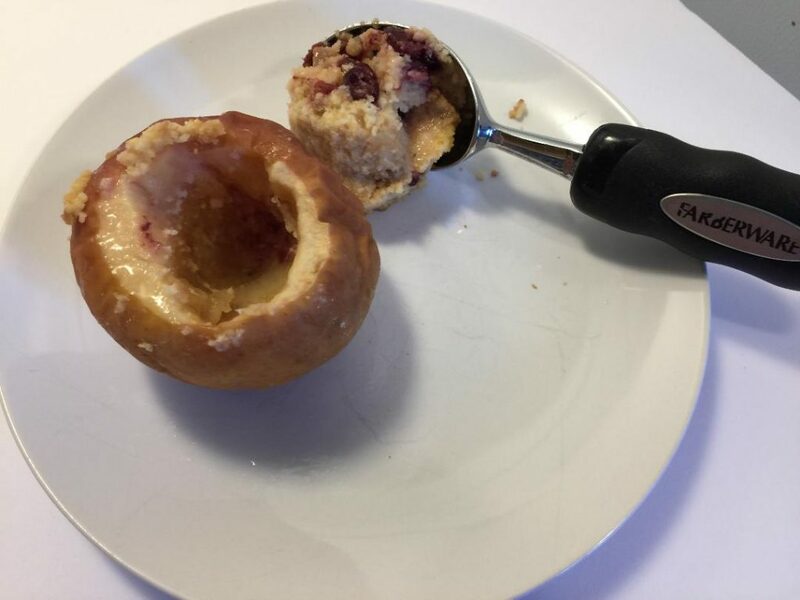 I used an ice cream scoop to fill each apple. Make sure each apple is overfilled. 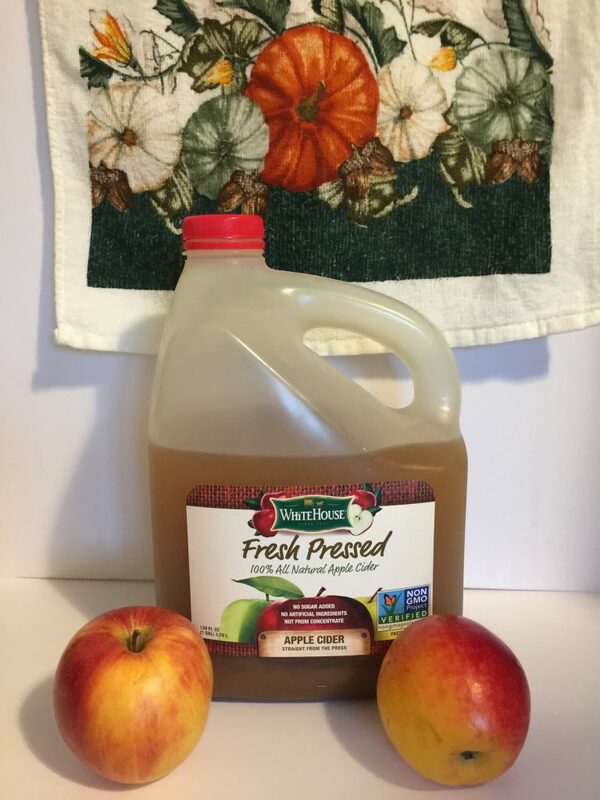 After the apples are filled, place the extra cider in the bottom of the pan. Cover the pan with foil and place in a 350º oven for 30 minutes.